Capital One's new flexible rewards program is now live and features 14 airline partners. Points transfer at a rate of 1,000 Capital One points to 750 airline miles, or a ratio of 2:1.5 for the majority of partners, and 1,000 points to 500 miles, or 2:1 for Emirates and Singapore Airlines. 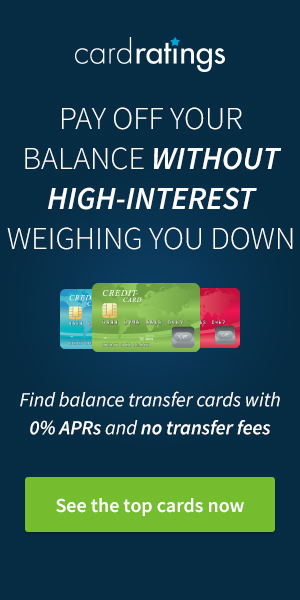 While the transfer rate may appear lower than the typical 1:1 transfer ratios we see with Chase, Citi, or Amex, the Capital One® Venture® Rewards Credit Card and Capital One® Spark® Miles for Business both earn a base 2x points per dollar, effectively earning up to 1.5x airline miles on every dollar spent. That’s a top return on non-bonus spending, better than you’ll receive on most co-brand airline cards. As a first push into flexible rewards, Capital One has done a stellar job assembling a full list of partners before the program goes live. And even if the program lacks a US-based transfer partner, there are plenty of high-value airlines on the list, plus a number of crossover partners with Chase, Citi, and Amex so you can pool points from multiple programs to reach travel goals faster. Before we dig into the pros and cons of transferring points to each airline, here’s a quick recap of Capital One’s new airline partners. Club Premier is a bit of a mixed bag, and one of the programs we hear little about in the US. Largely ignored due to a quirky award chart based on kilometers rather than miles, Aeromexico's sweet spots include a RTW Business Class award that allows up to 15 stopovers for the equivalent of 220K Membership Rewards points. Unfortunately, Capital One doesn’t take into account the comparatively low value of Club Premier points making transfers almost universally poor value. One of the most exciting partners on the list, transferring points to Aeroplan opens up a lot of high-value awards on Star Alliance carriers, and the ability to pool points from Membership Rewards and Marriott Rewards. Aeroplan doesn’t pass on carrier-imposed surcharges on select airlines including Swiss, Turkish, Air New Zealand, Singapore, and United, and although the award rates aren’t the best available on many routes, you can extract awesome value out of the stopover and open-jaw rules on round-trip awards to create a mini RTW business class itineraries for as little as 155K miles. Flying Blue is one of the only programs allowing points transfers from Chase, Citi, Amex, and Marriott Rewards, and now Capital One. You can book awards on all SkyTeam partners, take advantage of some unique region definitions, or redeem miles for Flying Blue Promo Awards which offer 25-50% off the typical cost of award tickets to destinations that change every month. Putting aside the fact that Alitalia is in deep financial strife and could very easily go the way of Air Berlin into receivership, the traditional award chart had most of its value stripped out of it back in 2016. Outside of the Upgrade Award chart, which allows you to upgrade paid tickets using miles without the need for business class award availability, Alitalia doesn’t feature high on our list of high-value partners. Up until recently, the only way to get your hands on LifeMiles was to purchase them during one of the frequent sales online, which offer bonuses as high as a 145% on top of purchased miles. Avianca now counts Citi, Amex, and Capital One as transfer partners, and if you still can’t put together the miles for an award, Avianca allows you to purchase up to 60% of the miles required for an award. 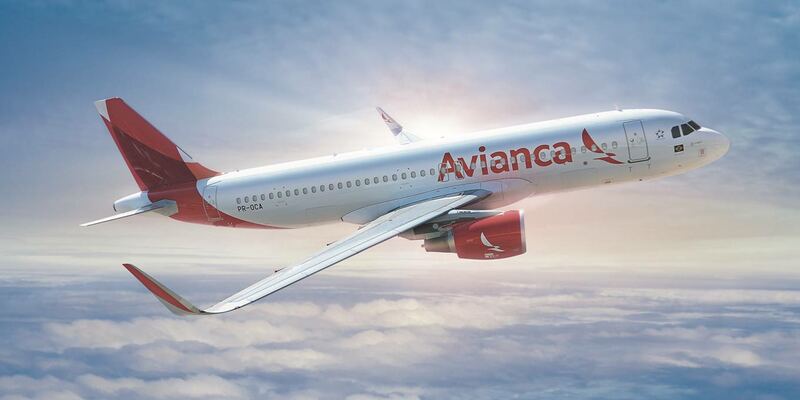 Avianca does not impose fuel surcharges, provides access to the Star Alliance network, and award rates are competitive with the likes of MileagePlus and Singapore KrisFlyer. Despite devaluing the Asia Miles program in June 2018, Cathay still utilizes a distance based chart to calculate the price of an award, and the rates are competitive with other Oneworld frequent flyer programs. Cathay also partners with Amex and Citi, so you can now pool points from multiple programs to boost your balance. Asia Miles allows a stopover on one-way awards, and offers competitive awards from the US to many destinations including South Africa and Asia, and offer great value in AA Business Class to Europe at just 50K miles. Based out of its hub in Dubai, Emirates has one of the most aspirational business and first-class products of any carrier in the world. Unfortunately, the Emirates Skywards program isn't quite as aspirational as the airline itself, particularly at a 2:1 transfer ratio. Emirates operates a distance based award chart, so the farther you fly the more miles it costs. Outside of redeeming for flights on Emirates metal, which includes some great fifth freedom routes between JFK-Milan and Newark-Athens, you will likely get better value transferring to other partners. Another airline that also partners with Citi and Amex, Etihad Guest is a unique (and frustrating) program in that it has a separate award chart for every partner, so where one partner may offer exceptional value between two destinations, another partner won’t. The best use of Guest miles isn’t on Etihad, but rather on select routes on partner airlines. Examples include flying business class on Royal Air Maroc from New York to Casablanca for 44K miles or flying Virgin Australia business class from Sydney to Queenstown in New Zealand for 13,800 miles. Utilizing a zone-based award chart with almost universally high award rates, Eva Infinity MileageLands appears to be the ‘vanilla pudding' of Capital One’s transfer partners, bland without any standout sweet spots to speak of. Certainly not something you would recommend to people you like. If you feel you must send your Capital One points to Eva Air, do so in the knowledge that you will likely get better redemption value transferring to LifeMiles or Aeroplan, both Star Alliance programs. Much like Eva Air above, Helsinki based Finnair is another inclusion that is there to make up the numbers. A Oneworld member, Finnair Plus will set you back 125K points for a round-trip economy award between the US and Europe, a staggering amount to fly the main cabin. Fortune Wings Club is the frequent flyer program for Hainan Airlines, Hong Kong Airlines, and some smaller domestic subsidiaries. Essentially another filler airline in this list, it’s hard to see a situation that would inspire anyone to transfer points to Fortune Wings Club over other partners on the list. Australian based Qantas Frequent Flyer is a Oneworld carrier and shares many redemption partners with Cathay’s Asia Miles, although it does have a few interesting partners outside of its alliance. For US travelers there aren’t many sweet spots outside of El Al redemptions, which won’t attract fuel surcharges, and the Qantas RTW award which will set you back 280,000 points plus fuel surcharges and fees. Rounding out the list of Capital One’s new transfer partners is Qatar Privilege Club. The award chart doesn’t show any highlights that stand out, and Qatar added award booking fees for redeeming miles making most awards poor value. Not a recommended use of your Capital One points. Alongside Flying Blue, Singapore KrisFlyer is now one of only two programs that allow transfers from all 5 major transferable rewards currencies, including Ultimate Rewards, Membership Rewards, ThankYou Rewards, Capital One, and Marriott Rewards. Offering plenty of sweet spots for Star Alliance awards and even better deals on Singapore and Silkair metal, Even at a 2:1 transfer ratio we see KrisFlyer as a great addition to Capital One's transfer partners. 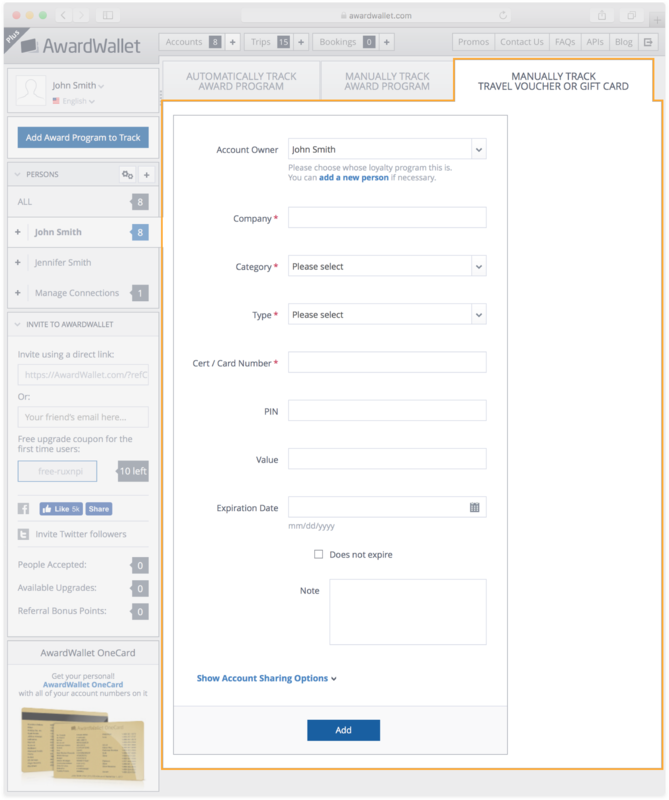 While not all of Capital One’s transfer partners offer the same value, there are some terrific options for folks looking to get a seat up the front of the plane, particularly when you factor in how many of the partner's crossovers with other flexible points programs allowing you to pool your points for an award. The new transfer program will sit alongside Capital One’s current fixed-value Purchase Eraser feature, which allows you to redeem points against any travel purchase at a rate of 1¢ per point, or, every 100 points credits $1 towards your travel purchase as a statement credit. As of December 2018, if you find award availability with one of Capital One’s airline partners, you can transfer your points to miles and redeem them for an award flight. If there are no award seats available, or you find a cheap airfare, you can purchase the flight with your Capital One® Venture® Rewards Credit Card or Capital One® Spark® Miles for Business card, and ‘erase’ the purchase using points. With both cards earning 2x points per dollar, you get a 2% return when redeeming points for a fixed-value, and potentially a good deal more when you transfer to airline partners. Did you know that you can track travel vouchers with AwardWallet? The next time you receive a travel voucher (e.g. $300 voucher valid for 1 year), you can save it in your AwardWallet profile and be notified before its expiration. Avainca also has ongoing 40,000 & 60,000 bonus point offers for its credit card, which is nothing to sneeze at either. I also got an 40,000 mile sign-up bonus offer email for Cathay’s card, literally just the other day. Probably not a deal I would waste 5/24 on. I think I would agree with you on this one. I would agree with oyu on this as well! The best advantage and pro is just the new options. In the end, that matters and helps push others to do the same. Wow, no domestic choices. I think the eraser feature may be best for me. 5/24 is really not worth worrying about as one will lose too many other opportunities just to get a Chase card or two. i can get twenty five or more cards in five years and come out way ahead as opposed to waiting to get a Chase card. None of these are compelling enough to seriously give MR and UR a run for their money. I would rather have a domestic partner, using the C! points to top off a current balance. Hard to see why a domestic credit card can’t get a domestic partner. But I do see some value here if you are a big C! spender, etc. One of your most interesting blog posts. The Alitalia upgrade info is new to me. It is sad that so many INfrequent flyers in Australia are drawn to the Qantas program because they will not get a lot out of the program. thank you for detailing the pros and cons. Very helpful list. Thank you for sharing the pros and cons! It is very nice that this card will have the option to transfer points, though I am not crazy about the fact that they don’t transfer 1 to 1. I still think I’d use the points to erase travel purchases rather than transfer them to airlines but Capital One does not seem to want to approve me for one of their cards. 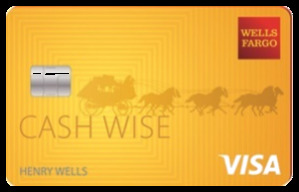 I see your point but if you view this as a miles card, you get 1.5 miles for EVERY dollar you spend. There aren’t many cards that offer that kind of redemption rate. Granted a lack of domestic carriers is a big downside to me. I just got the card with the 225,000 mile bonus for 50k. Amazingly the points post as your as your purchase does. You do not have to wait for the statement close. It’d be nice to have one domestic airline, but this certainly gives you a lot of options and could compliment other cards (CSR or Amex) very nicely. I can’t decide whether I should start getting into capital one cards now they have a transferable points program. It looks like this card does not really provide good return on spend. a net effective return of 1.5 miles/dollar or 2% cash back? Not a good return? What would you consider good? Agreed. What airline card gives you 1.5 miles across the board? (Besides Freedom Unlimited transferring to CSP/CSR). For a miles card, this is actually pretty good. The airline choices aren’t great but it could force you to learn about maximizing redemptions with partner airlines rather than the domestic airline directly. All this said, I still prefer the Freedom/Sapphire family over this: 1.5 miles/2.25% cashback across the board,3 miles/4.5% cashback on travel, and 5 miles/7.5% cashback on rotating quarterly categories. It’s a great option to top off your points . This information is all new to me so I find it so helpful for blogs like this . Another great summary – unless you can get outsized value from the transfer might be better to just book revenue and use as 1 cent per point on travel. Thanks for providing the pros and cons. Very useful information. 3 credit inquiries to get capital one cards is still a no go for me. You might want to rethink your stance on that — are you really that concerned about all 3 bureaus being checked? This is a great assessment, thanks so much ! Definitely some interesting partners in there – glad to see Capital One is finally upping their Travel Rewards game by moving away from pure cashback. Not crazy about the airline partners. I’ll pass on this one. I see three that I could use, Qantas being one. Though Qantas seems to be a sore point for many. I see your point that several have cross over from MR and UR, though it the three that I’m interested in are not enough to make me tempted to get it and add another credit card to keep track of. I’m frustrated that American is not getting on board with a credit card company. Any thoughts why not? Would this not boost their bottom line enough to make it something worth it? If they got even one U.S. airlines in this mix, I think they would have something special. As it stands now…meh. take a step back and look at leveraging partners. Its the lack of US-based airlines that makes these points MORE valuable to those that know how to use the program. Nice detailed analysis that provides food for thought. So although there are no US carriers, if you go with Air Canada Aeroplan, which is a Star Alliance member, you could fly United Airlines. And Air France/KLM Flying Blue is a SkyTeam member, which includes Delta. Hey Dani, that is exactly right. In my experience, using AirFrance for Delta flights is especially challenging. Delta only offers flights that cost the minimum number of miles to partner airlines, so in practice, there are very few domestic flights on Delta that can be booked with AirFrance. International is a bit better, but the options are still pretty limited. United on the other hand opens up a lot more seats to their StarAlliance partners including Aeroplan, so I’ve had more luck with scoring awards with that program. Avianca can also book United (and should have access to the same flights as Aeroplan), and sometimes the number of miles required is less, so it’s worth checking the Lifemiles website to see if the itinerary you want is fewer points. Lastly, Etihad can book flights with American, and Cathay Pacific can book both American and Alaska flights. A quick note that Aeroplan’s future has a big question mark hanging over it, as in 2020 it will be replaced by a new loyalty program with unknown features. The conversion rates are a poor value imo unless using this purely to top up for an award redemption. Great information, not sure if I am willing to open a card quite yet but happy to know that other creditcard companies are wanting to be more competitive. Very disappointing that they could not negotiate 1:1 transfers. I’m in. Seems like Avainca is the way to go, since our family of five often redeems United miles for flights to China. Anyone had any luck redeeming Avanica miles for flights to Chinese cities other than Beijing, Shanghai or Chengdu (especially for flights that include an Air China leg from one of those cities to an interior city?). It usually works out to a value of around 2 cents a miles in value for economy tix. We can always book an additional leg via Ctrip or elong, I suppose, but it’d be nice to book the whole route with our miles like we can on United’s website. Maybe I need to take another look at Capital One. I’ve pretty much maxed out the other providers as it is. Thanks.